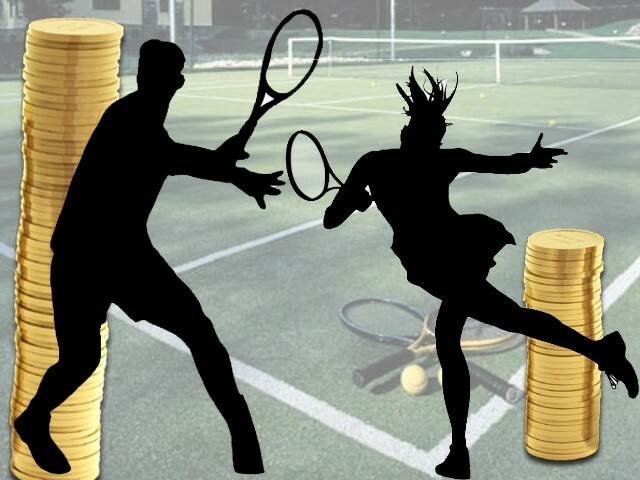 Why should male tennis players be paid more than female players, Novak? It is a misnomer to say men should get more because they play a five set game, which demands far greater endurance, compared to the three sets in women’s tennis. If this logic was to be extended to other sports, the women should be getting far more than men in events like gymnastics! The women even in the most liberal countries face discrimination when it comes to receiving the same pay compared to their male counterparts for similar work done by them. This discrimination is more pronounced in the sub-continent. Although, various NGOs’ and women activists have been fighting relentlessly to bridge the gender pay gap, women still continue to face discrimination in some form or the other, especially in the unorganised sector. The gender pay gap widened further as the job level increased with male executives earning many times more than their female counterparts. This report comes as a surprise, especially when President Obama, in an effort to stop gender discriminations had brought to legislation the Lilly Ledbetter Fair Pay Act to protect the women’s right to receive the same salary for the same job. The law gave rights to women against their employers in the court of law if they received less than men doing the same job. In India, although there is some sort of parity in wages in the organised sector, the women still continue to face discriminatory practices in the unorganised sectors. This also affects their families, as it is the women who are the sole breadwinners in many of the rural households. However, the issue at hand is the parity in prize money in sports. “Who attracts more attention, spectators and who sells more tickets”. “Fought for what they deserve and they got it”. However, what was left unsaid by him to justify his comment is that while men play best of five sets, women have to contend with playing the best of three sets. By this logic, the women have to spend less time, energy and efforts compared to the men. To make matters worse, Raymond Moore, the Indian Wells CEO, said that the women’s game “rides on the coat-tails” of men. Moore said female players “should get down on their knees” in thanks to their male counterparts. His insensitive and disparaging comments have come under severe criticism from women athletes, who found his comments not only offensive but disgusting. It is another matter that Moore was forced to resign for his sexist comments. 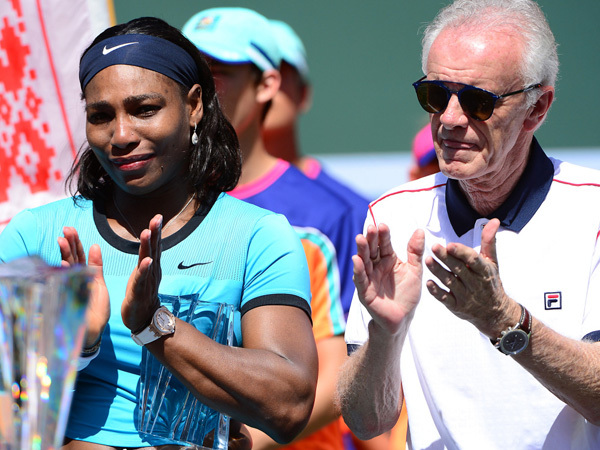 Serena Williams and Raymond Moore, the Indian Wells CEO. “Antiquated, sexist or uninformed ideologies”. Novak, who won the BNP Paribas Open at Indian Wells on Sunday, although described Moore’s remarks as “not politically correct”, maintained that men should get more prize money, because more people come to watch men’s tennis. “I didn’t know it would be that hard. I hit shots that would have been winners on the women’s tour and he got to them easily”. First, it is true that men have a physiological advantage over women, as men’s professional tennis is played almost at a different level compared to women’s professional tennis. However, it is not true that spectators are drawn towards men’s tennis only. Over the last two decades, spectators have turned out in large numbers to watch women’s tennis. 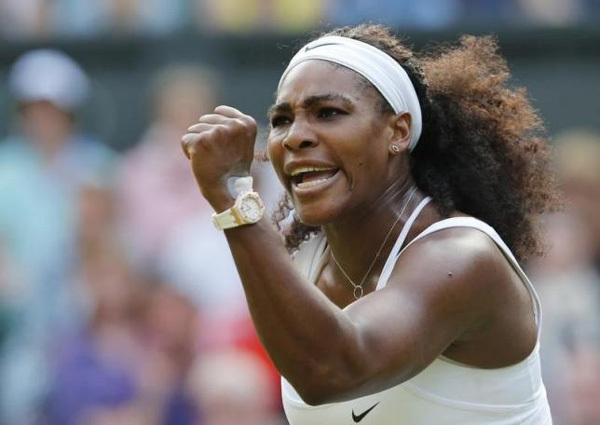 In fact, in few grand slams, the tickets for women’s final were sold out much before than the men’s event. I remember that in the 2005 Australian open finals, the tickets in the titanic clash between Serena Williams versus Lindsay Davenport were sold out before the men’s final. The credit for the women’s tennis popularity goes largely to Martina Navratilova, Steffi Graff, Monica Seles, Martina Hingis, Lindsay Davenport, Serena Williams and Maria Sharapova, to name a few. Most of their matches were fiercely contested. Secondly, in women’s tennis, one has the opportunity to see more skill and grace, compared to men’s events, which relies more on brute power. Thirdly, the concept of “equal work” does not apply in sports, because of the distinct physical advantage men have over women. In fact, we should instead be talking about “work of equal value” to create a level field in men’s and women’s tennis. Fourthly, it is a misnomer to say men should get more because they play a five set game, which demands far greater endurance, compared to the three sets in women’s tennis. If this logic was to be extended to other sports, the women should be getting far more than men in events like gymnastics! Novak, feminism is about ensuring equal opportunity, equal freedom, and equal respect for women. I sincerely hope that you will retract your statement, and fight instead on various injustices being meted against women in our society. And if you won’t fight against, the least you can do is not contribute to the problem. Can Imran Khan fix 71 years of failed talks, bloodshed and hatred? What you conveniently left out is that he also said if at any point women tournaments bring in more revenue then women should be paid more compared to men. I am surprised that there is no room left for being rational in this world. So basically, aside from a few oddities more people still watch mens tennis. This is making up a argument out of thin air for the sake of it. Yes. The value of the work done is how you are basing this all off of. So hence if men generate more value ( money, spectators, publicity ) They should be rewarded more. It is economics. They pull in more endorsements and more spectators. It is like asking why Kohli should be paid more than Rahane. It has nothing to do with gender.